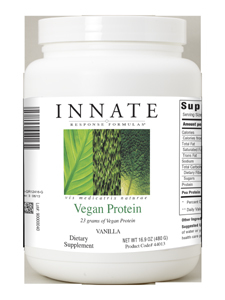 Nutritious vegetable-based protein to get you started with your day or help you recover from intense workouts. Suggested Use: Mix one scoop of vegan protein with 10 oz. of water or your favorite beverage daily, or as directed by your health care practitioner. Other Ingredients: Natural Flavors, Stevia, Cinnamon.